Mark Craven has tested the PHANTOM S-Series in September 2017’s edition of Home Cinema Choice. He looks at the PHANTOM S 5.1 system which included a pair of PHANTOM S-280, a pair of PHANTOM S-80, the PHANTOM S-180 as the centre channel and the DALI SUB K-14 F.
First of all, Mark Craven takes a close look at the appearance of the S-Series “the Phantoms exhibit a premium finish and premium craftsmanship”. Whilst testing the PHANTOM S-280s in a 2.1 setup with music, he describes them as a “hoot” to listen to. 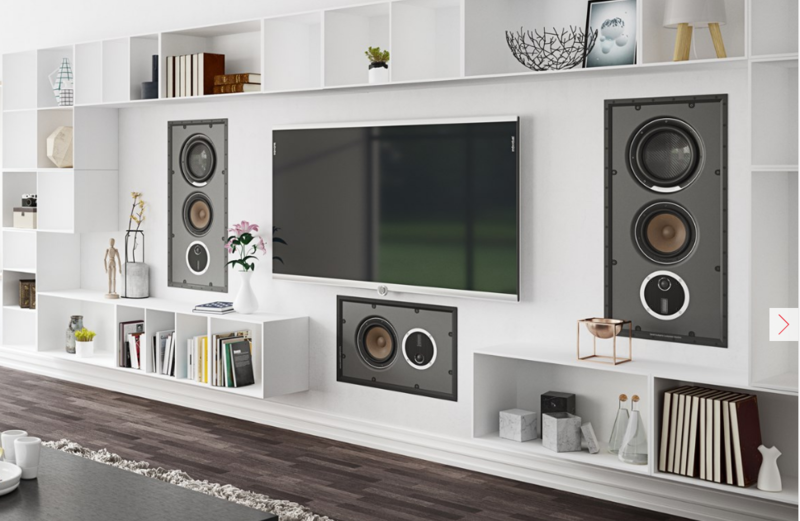 The slim DALI PHANTOM S-180 in-wall loudspeaker offers a full frequency response similar to that of a floorstanding loudspeaker, but without sacrificing valuable living room space. It delivers a no compromise in-wall audio performance with the use of proven speaker technologies. This includes our characteristic wood fibre cones, low-loss rubber surround, solid MDF front baffle, our signature hybrid tweeter module and our superior innovative magnet design including a SMC pole piece. All models are built around a rotatable hybrid tweeter module making them easy to install for any audio use be it stereo, centre channel or surround. 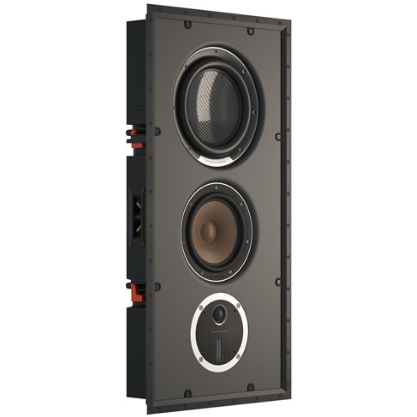 We have optimised the primary 8” wood fibre woofer for both bass and mid-range performance. To further enhance the bass performance, we have paired the primary woofer with a 10” passive carbon fibre radiator. This ensures that the PHANTOM S-180 really stands out from the crowd. The ultra slim 103 mm cabinet design fits into almost any standard wall. The compact design of the PHANTOM S-180 fits into most standard walls. It was a challenge constructing such a shallow back cabinet – only 103 mm deep – with such a small footprint, and still achieving the perfect inner volume for the woofer. The cabinet is constructed from a solid MDF that holds the easy-to-use dogleg mounting system and the terminals. The front of the PHANTOM S-180 integrates elegantly with the wall via the surrounding extruded aluminium frame, and the magnet mounted front grille forms the visual presence of the PHANTOM S series. When installing the PHANTOM speaker in your wall, the ribbon tweeter should be placed at ear height. To make this easier, we decided to turn the driver placement ‘upside down’. This allows for a more traditional mounting height in line with the TV – instead of below the TV. We also turned the hybrid tweeter module on its head to keep the dome tweeter close to the midrange woofer. This ensures an optimum handover from the woofer to the part of the tweeter that handles the lowest frequencies. The physical distance between these drivers are optimised for the best summation of the woofer and tweeter output. Mounted like this, we experienced that both the integration with the room – mainly with the floor – and the bass performance improved. When mounting the PHANTOM S-180 horizontally as a centre channel, make sure to place the ribbon tweeter as close to ear height as possible. This is due to the dispersion qualities of the ribbon. Being a master of high frequency dispersion on the linear plane, it is less able to spread the high frequencies on the vertical plane. This is where the dome tweeter excels and why the dome should be placed lower than the ribbon in this scenario.